The next Kirby title, Kirby Star Allies, will be making its way to the Nintendo Switch next month. While many of the pink puff's games are single-player only affairs, Star Allies will allow up to four friends sit down on a couch and play together. Nintendo posted a video last Friday that showed off just how that co-op will work. 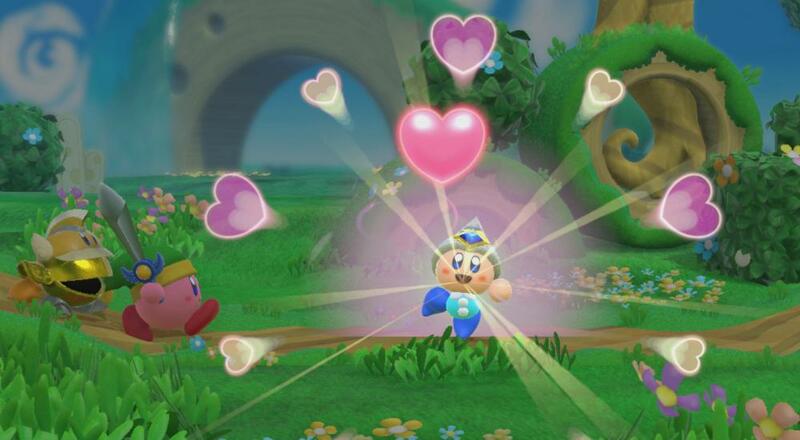 Bringing your friends into the game first requires Kirby to "make friends" by using friendship hearts. Once Kirby makes a friend out of an enemy (rather than inhaling them and absorbing their essence), another player can join in. The more friends Kirby makes, the more friends can join in the fun (up to a max of 4). Whatever foes your buddies control, they'll be able to use their abilities and special moves. They can even change to a different enemy by befriending them, which may come in handy depending on what the level/situation requires. Players keep their characters between levels, too, which is nice so you don't have to keep adding your buddies back in all the time. Kirby Star Allies will be available on the Nintendo Switch on March 16 2018. It will support four player couch co-op throughout the campaign. Page created in 0.9683 seconds.